So, I sent him a scene I had been toying with between Thannuel and Moira but never actually made it into the book. The reader thought it was a good start and I told myself I’d get to it eventually. Some 6 months later, I got serious about it and sat down to develop it into a short story. After a solid week of writing, I had nearly 14,000 words (a bit long for a short story) and I loved it. Can I say that about my own writing? As an author, you always know your work isn’t perfect, but if you’re not excited about your story, there’s little chance anyone else will be. Convinced it was my best writing to date, I set to work editing it, ordering a book cover, and then sent it off to Michael Kramer for the audio narration. The book was released on Kindle this past Tuesday and, so far, the response has been overwhelmingly positive from the fans (fingers still crossed). But why release short stories in a series? The Dying Lands Chronicle is a planned trilogy with Altar of Influence being a prelude to the trilogy (technically part of the series I guess). For me, nothing overcomes writer’s block like writing a short story. I don’t know why that is…perhaps it doesn’t feel as daunting as continuing on with the manuscript of a full-length book. For me, full length is at least 150,000 words, not that typical 95,000 or so for most novels…that’s epic fantasy for you, I guess. The next book, Song of Night, is on target for at least 200,000 words and it feels like I’m trying to bench press 500 lbs every time I go to work on it. Right, so, writing short stories gets me going easier and I discover new elements about the world and characters that I weave into the full length books. It’s a wonderful process for me. For the fans waiting, it’s a benefit as well. They get more insight into the series and characters while waiting for the next large installment. I first saw Peter V. Brett do this with his Demon Cycle series and thought it was brilliant. Other authors have used it effectively as well, such as Brian McCLellan in his Powder Mage series. As a reader, I was excited to get these short stories as a tie-over of sorts and they filled in some time gaps in the main storyline. 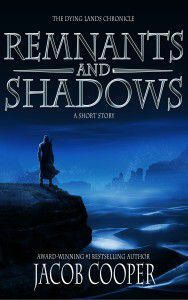 My short stories, being part of the overall series, aren’t meant to stand alone. They can, I suppose, and I know that several people have read them to test the waters before jumping into the series. To my surprise, those readers didn’t feel lost and all left positive reviews, but I view the short stories I’ve released so far as “lost chapters”. 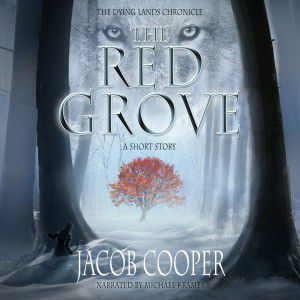 For example, The Red Grove takes advantage of a 3-4 years time gap in Circle of Reign where Reign and Hedron Kerr (twins) grow up under the care a wolf shepherd far in the north named Jayden. Because the main story happens over several years, the time gaps present excellent opportunities for expansion of the plot through short stories, development that previously occurred “off paper”, as it were. The same is true for Altar of Influence: The Orsarian war. There’s a 5 year time jump in the timeline and a lot happens in a world during 5 years. Remnants and Shadows takes advantage of this and develops a character we don’t get a ton of face time with in AOI, but is still nonetheless important. Obviously, we do see progression of Thannuel and Moira, the main characters, as well. But what if a story doesn’t have a time gap that can be exploited to create a short story? This is where developing a supporting character, one who has little to no POV time, can be utilized. When done right, this will add a new voice and perspective to the story. Through this character’s eyes, the reader will see things differently, including the main characters and the events driving the plot. The experience of writing and releasing stories for the world to explore has been incredibly educational and enlightening. It has not yet been a year since Circle of Reign was released and 4 completed works in The Dying Lands Chronicle have been released. One of my big take aways is to always listen to your fans, even (or maybe especially) critical ones. Their feedback can be taken as a challenge and just might lead you to a new story. Those challenges directly led to the creation of both The Red Grove and Remnants and Shadows.